Join the Common people this Sunday! Club Website are hitting the road again this Sunday as our facilities tour heads out and about in the capital. So if you're in or around the South London area then come on down and pay us a visit! We'll be on Clapham Common to take a look at the facilities there and have a word with those people who use them, before taking in some Sunday League football. The first big topic that came up was the state of facilities available to amateur footballers across the UK, so we decided to look into it. Turns out that half of you have to put up with facilities that are not up to scratch while many of you don’t even have any changing rooms to use for your matches. You’ve been sending in your stories, photos and videos of your facilites – or lack of them! – so we decided to pay a few of them a visit. The tour so far has seen us head to Birmingham and South Yorkshire - both eye opening experiences we can tell you! - and now, after trips up north and to the Midlands, we thought it was time to focus on the south of the country. 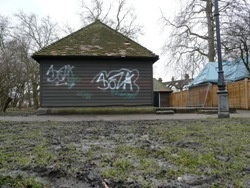 We've heard a fair few things about the facilities at Clapham Common - none of them too complimentary! - so we've decided that was our next port of call. We want to see exactly what state the place is in and speak to those who play there. Sundays at Clapham Common are always busy, so we'll be taking the chance to speak to players and managers using the changing rooms to find out what they think about them and other facilities in the South London area. We’ll then take up the case on behalf of those people who use the facilities and try to get something done about the issue, as we’re trying to do right across the country! 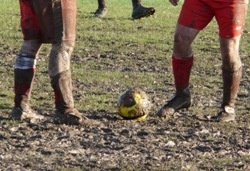 While we're on the Common we’ll be taking in a Sunday League game or two, so if you’re due to play at Clapham on Sunday and fancy chewing the fat on all things grassroots football - or anything else that takes your fancy! - then keep an eye out for the Club Website boys and pop over and say hello. o if you're in or around the South London area then come on down and pay us a visit!